Are you going to grow shrooms or truffles on your own? 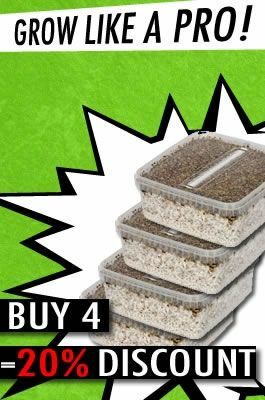 If so, then Avalon Magic Plants is the right place for you to order all the different types of growing accessories you need to do it. We have everything from towels and face masks to rice flour and heating mats. In addition to these separate components, we offer shroom grow kits, which contain everything you need to start growing magic mushrooms. You get the seeds, the growing tray, the grow bag with air filter and an alcohol-soaked towel and you are on your way. Of course, we also provide instructions, so that you can thoroughly read them beforehand. Don’t have a lot of experience growing shrooms? These grow kits are perfect for you!